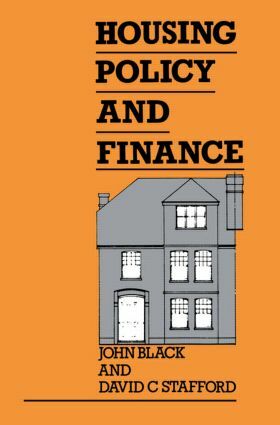 This book provides a comprehensive introduction to housing policy and finance in Britain. It describes changes in the condition and tenure of housing in the post-war period, and contrasts the massive investment in house building and improvement with allegations that housing conditions are deteriorating. It describes the rise of the public housing sector and the slight decline in the face of the Thatcher government's policy on council house sales, which followed. The book thus provides a background for the development of housing policy over the next decade.